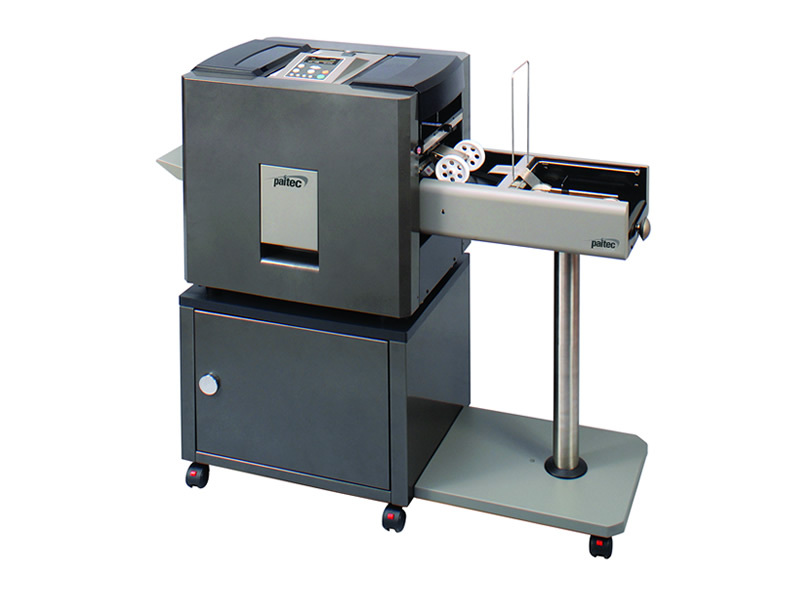 The MX13000 is the most affordable heavy duty pressure seal machine in the market today with its fast 13,000 pieces per hour processing and with a monthly duty volume of 300,000 pieces. 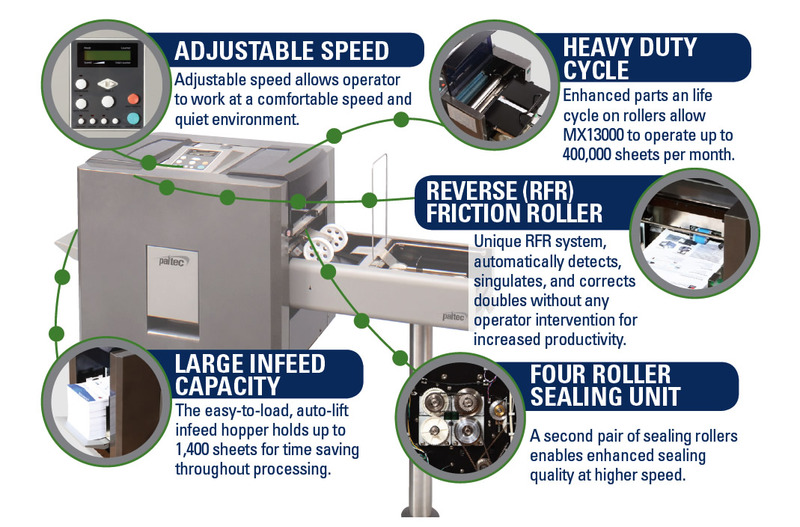 It features our heavy duty four roller sealing unit, Reverse Friction Rollers to auto correct double feeds, an auto-lift feed tray which holds up to 1,400 pressure seal forms, and an optional vertical exit stacker which holds up to 350 forms. PAPER WEIGHTS 20 - 30 Lb.